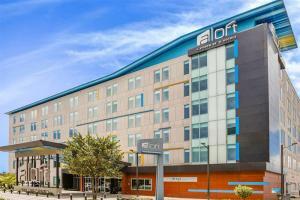 Release your free-flowing energy at Aloft Bogota Airport and discover fresh sensibilities and an active social scene. Meet, mix and mingle at the hotel's pool tables, rooftop garden, bar, lounge and live music performances. Experience a new concept in dining by tasting a different cuisine every day at the international restaurant. Loft-inspired accommodations feature ultra-comfortable signature beds, modern technology and accessible/ADA features. Free services and amenities include parking, grocery shopping, breakfast, airport shuttle, Wi-Fi and a gym. Pets are welcome guests as well.